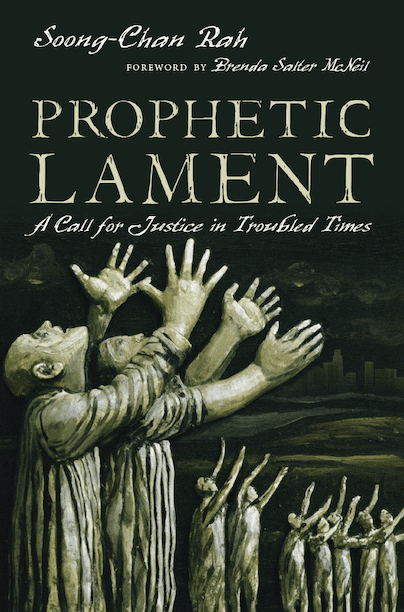 In conversation with Scot Sherman, Soong-Chan Rah will discuss the role of prophetic lament in reforming American Christianity. – Book signing will follow; copies of book will be available for purchase. Rev. Dr. Soong-Chan Rah is professor of church growth and evangelism at North Park University and the author of Prophetic Lament: A Call for Justice in Troubled Times (2015), Many Colors: Cultural Intelligence for a Changing Church (2010), and The Next Evangelicalism: Freeing the Church from Western Cultural Captivity (2009). Soong-Chan is formerly the founding senior pastor of the Cambridge Community Fellowship Church (CCFC)—a multiethnic, urban ministry-focused church committed to living out the values of racial reconciliation and social justice in the urban context. He has previously been part of a church planting team in the Washington, D.C. area, worked for a number of years with InterVarsity Christian Fellowship in Boston (specifically at MIT), and mobilized CCFC to plant two additional churches. He currently serves on the boards of World Vision, Sojourners, the Christian Community Development Association (CCDA), and the Catalyst Leadership Center. We are pleased to co-sponsor this event with City Church San Francisco.